Nga is 33 years-old and a rugby coach with ChildFund Pass It Back. 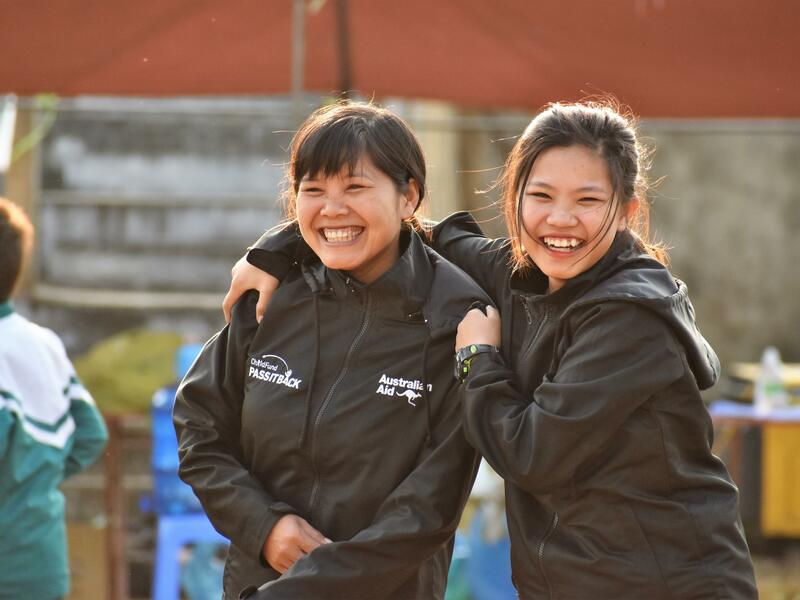 Like many of our female coaches in Vietnam, she is also a mother. What is unusual about Nga’s situation though, is that she is the first coach to see her daughter follow in her footsteps. Tang was impressed by how much fun the players had, how much they learnt, and how much they developed as individuals and as a team. Furthermore, she saw how her mother “always listened to the players and treated them with respect”. Tang says her mother encouraged all young people in their local community to join in – not only promoting the health benefits of playing rugby, but also the important values and knowledge that are passed on to players through their participation. As part of her coach training and assessment, Tang delivered a life skills session on negative peer pressure.Her assessor remarks: “I was impressed by her confidence and maturity in delivering a difficult session around the concept of peer pressure.